How do you teach programming to children with no prior programming experience? That’s what we tried to figure out at primo.io. 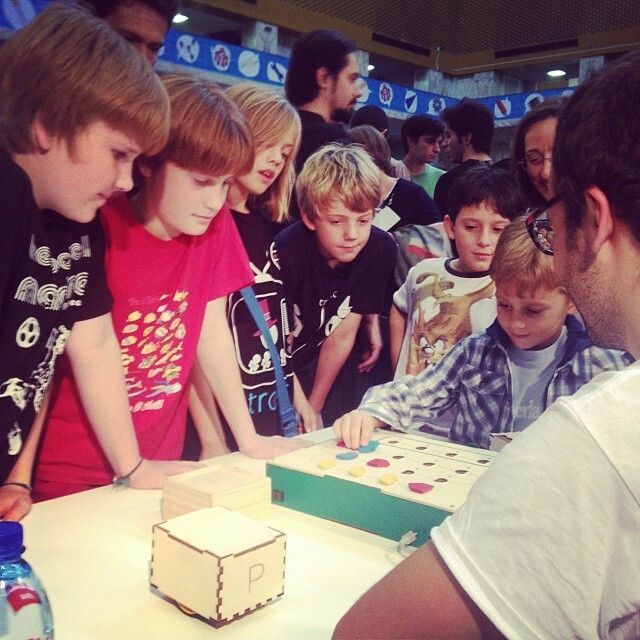 primo.io is a London-based educational hardware company founded by me and Matteo Loglio. Earlier this year we began working on Primo along with product engineer Josh Valman, and mechatronics engineer Lucia Rabago-Mayer. 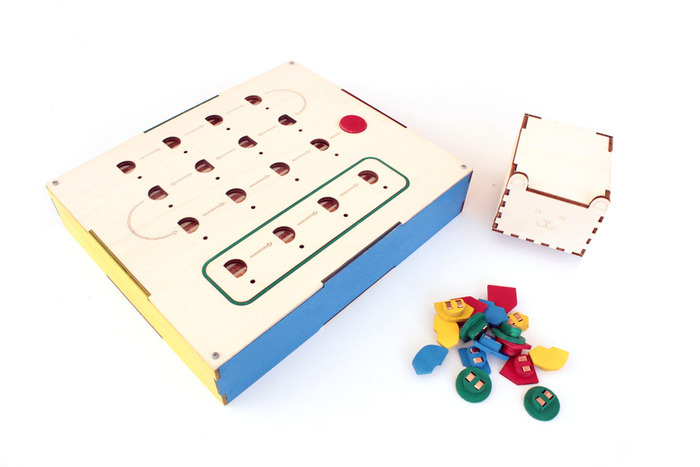 We set off to design a product that would introduce children aged 4 to 7 to programming logic through the magic of play. No screens, no visible technology. While Primo isn’t the first product to tackle the topic of children and programming, we wanted to do so by crafting a physical experience for the youngest audience possible. We were greatly inspired by the work of Saymour Papert which led to the groundbreaking development of LOGO and physical LOGO’s of the past century. We wanted to distill and simplify this even further, giving it an application suitable for little ones. Digital products are commonplace when entertaining children, and many noteworthy on-screen solutions already do this well. 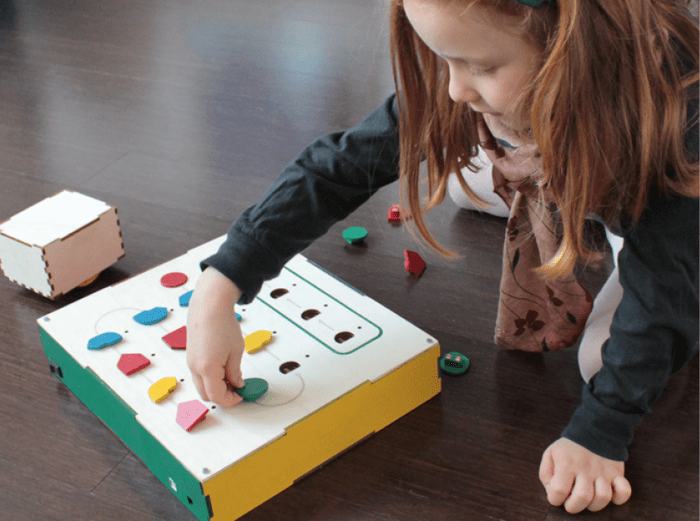 Scratch, for example, is a fantastic on-screen tool that serves its purpose well, but it’s still fairly complicated and for slightly older children. In some ways, digital solutions are also the easy choice in today’s educational environments. We entertain our children with digital products all the time. It’s the norm. We chose a different path with a physical product, even though this would mean designing the experience of a programming interface from the ground-up instead of relying on a pre-existing tool (Computers, tablets, and smart-phones). It required some thought, but the benefit of a blank slate is that we could design an experience that was tailored to children as opposed to adopting a vessel originally designed for adults. The development of Primo happened in a collaborative “open source” environment. The process was not only great and stimulating, but it organically pushed the product from a concept to something that could be commercially viable, easy enough to produce in scale and distributed to schools and homes. We used what we are privileged to consider “common place” prototyping tools made available from FAB LAB Torino to flesh out each iteration. The final look and feel of the product reflects this a lot, not only in its laser cut-aesthetics, but in the ability for anyone to pick up our source files (which will be freely available after our Kickstarter campaign) an Arduino board, simple electronics, a bit of creativity, and fashion their own version of the product. Such is the intention behind our decision to keep primo as a open source product. Keeping our hardware and software open source was a no brainer. We know the topic of programming and early learning is one worth pursuing, and it isn’t just us who think so. By staying open source, we hope to involve those who are interested in the development of this topic rather than having them work against or in competition with us. We have decided to further our work with Primo through a Kickstarter campaign. We hope that going the crowdfunding route will kill two birds with one stone: Soliciting an interested crowd of technologists and educators who we hope will step up to push our agenda and pitch in on future developments and raising the necessary finances to move our work along to the next level.